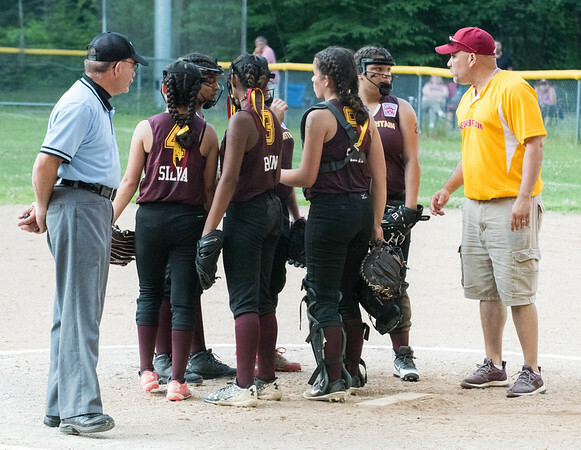 NEW BRITAIN - Throughout the All-Star season, family has been an important part of the New Britain Junior softball team. It’s easy to notice from the head coach to the assistants to the players. The team is coached by Leticia Silva with her husband, Elvin, and son, Alex, serving as assistant coaches. Leticia and Elvin also have two twin daughters on the team, Xandra and Liana. Elvin sees the opportunity to coach not only as a chance to mentor Xandra, Liana and their friends, but also as a way to work in a New Britain community his family has been a part of for years. Elvin admitted it can be challenging sometimes to be a coach on a team with two of his daughters. Despite New Britain falling short of its ultimate goal, just being a part of the team was rewarding enough for the head coach. The season may be over, but the Silvas are grateful for their chance to be together, especially around a game they all love. Posted in New Britain Herald, New Britain on Tuesday, 3 July 2018 21:17. Updated: Tuesday, 3 July 2018 21:27.